You can’t beat spending a birthday at Disneyland, even as an adult! 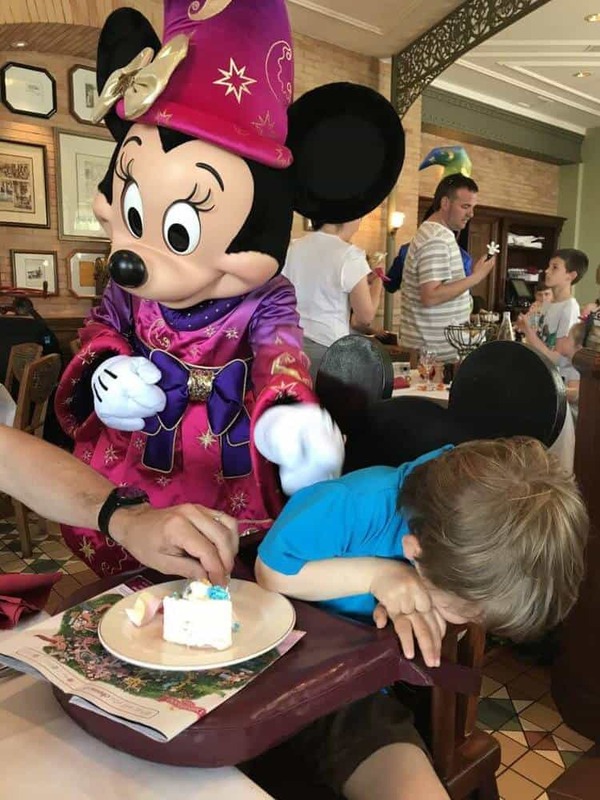 After asking all my lovely Disney friends in Europe, character dining was highly suggested. 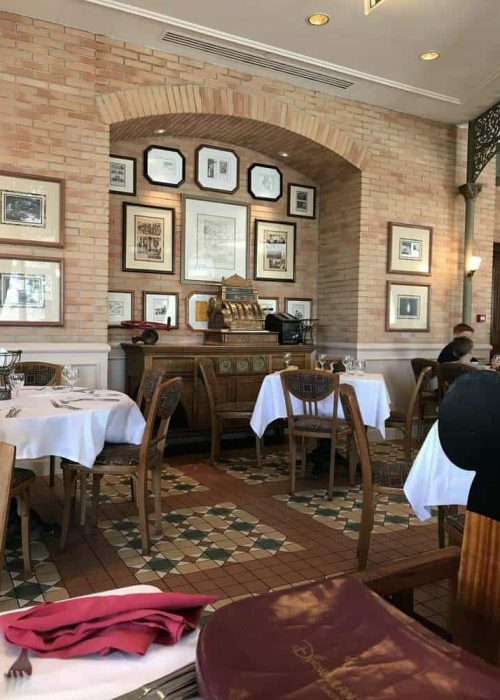 We ended up booking Sunday brunch at the Disneyland Hotel restaurant Inventions. Inventions is a popular dining location, so making advanced recommendations is recommended. You can make a reservation up to 60 days in advance. Right now, the only way to book is to call the Dining Reservation Service on +33 1 60 30 40 50. The reservations service speaks English and can help you with any questions. 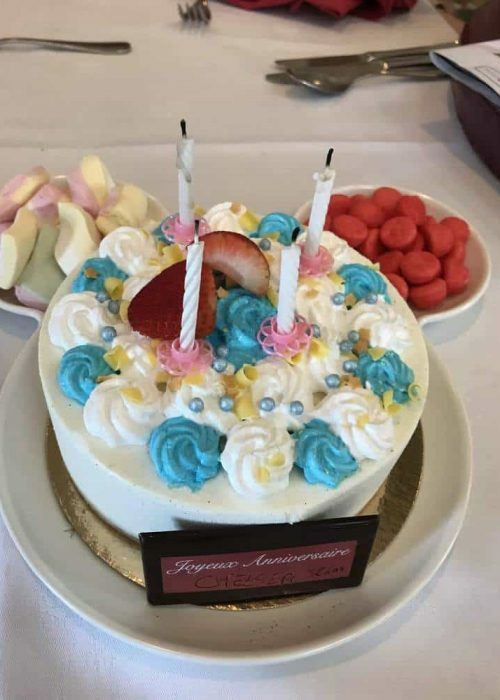 We were able to make a reservation and set up the birthday cake over the phone. You can also book with the reception desk at your Hotel. The easiest way to call International is to create a google voice number, add some money to your account and then call via your computer. 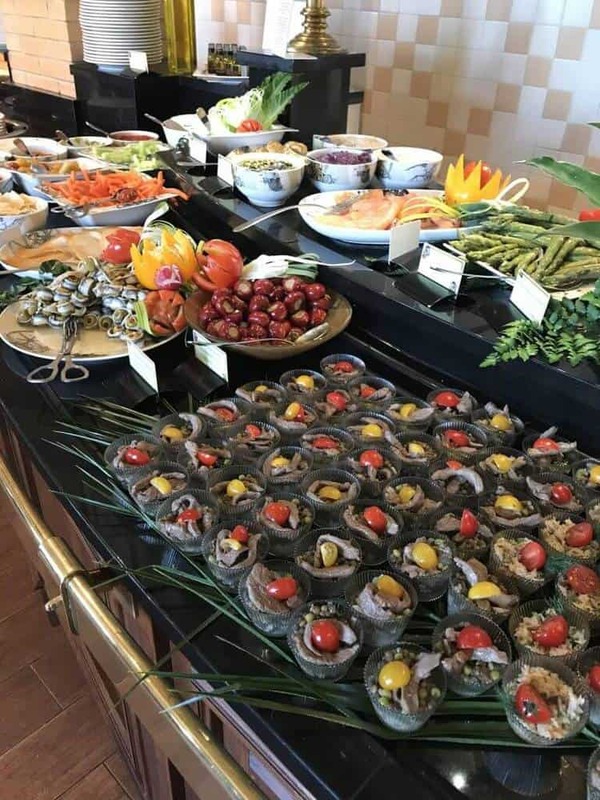 The buffet was absolutely breathtaking with an amazing array of seafood, meats, cheeses, appetizers, salads and ice sculptures. Everything was displayed with chef quality and replenished frequently by the staff. There was every a selection of child-friendly options. Plenty of food for everyone’s tastes. 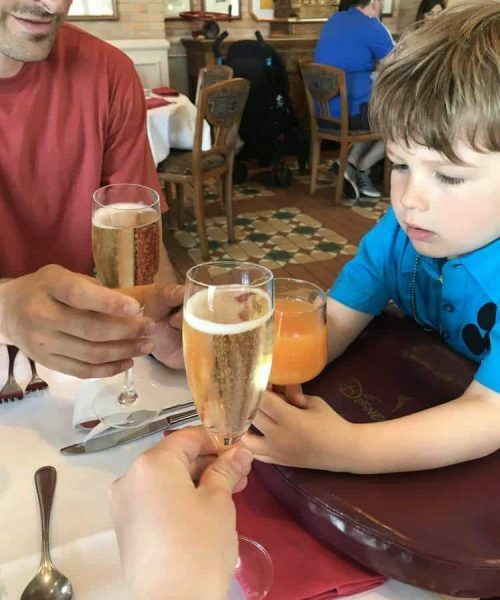 Since our reservations were for Sunday brunch, a glass of champagne (for the adults) and a glass of juice (for the kids) was included. Toast! This is the best part about the experience, the characters! 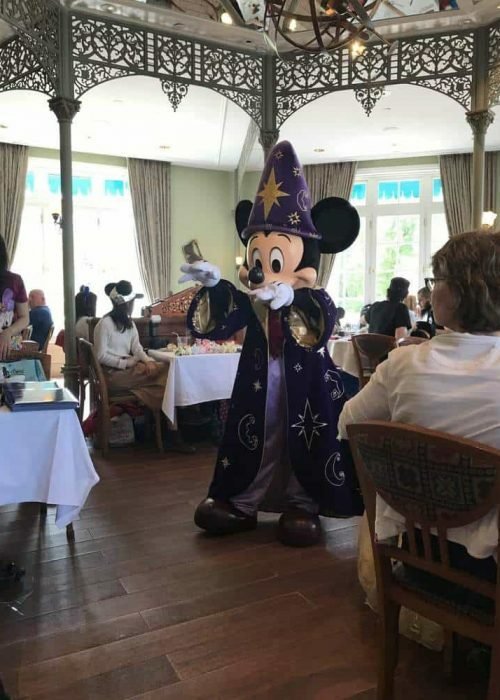 We saw at least 6-8 different characters during the hour we spent at brunch. They really take the time to visit, take photographs, sign your autograph book (if you have one) and interact. It was fun to watch the character pose as the diners took photos of them. Not to mention the dining room is absolutely gorgeous (which makes a perfect backdrop). We did not see any princesses during our dining. So if that’s important you to, then you might want to call ahead and figure out where it is best to book for them specifically. My son was only 3 and didn’t recognize many of the characters since he is more into Paw Patrol compared to Disney shows, but he still had a good time. The characters were great about recognizing when the kids were a bit afraid and they would be silly with the kids to relax them. Here is the list of characters that we did see: Mickey, Minnie, Donald, Goofy, Daisy, Pluto, Chip, and Dale. 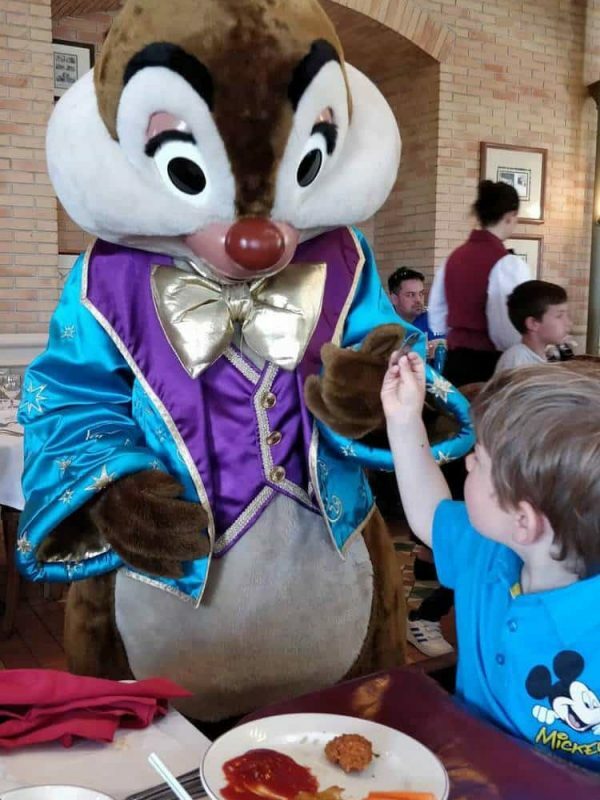 If your children really want to see the characters and you don’t want to wait to see them one at a time, the character dining is a perfect combo. For 35 euro, you can book two options for cake. We picked the ice cream cake and it serves 8, which was way more than the two adults and one toddler could eat! So feel free to share with those around you. The staff and a character will join in on the festivities with dancing and wishing you a happy birthday. A fun way to celebrate any special occasion. Now to the not so fun part, dining at Inventions is pretty expensive! 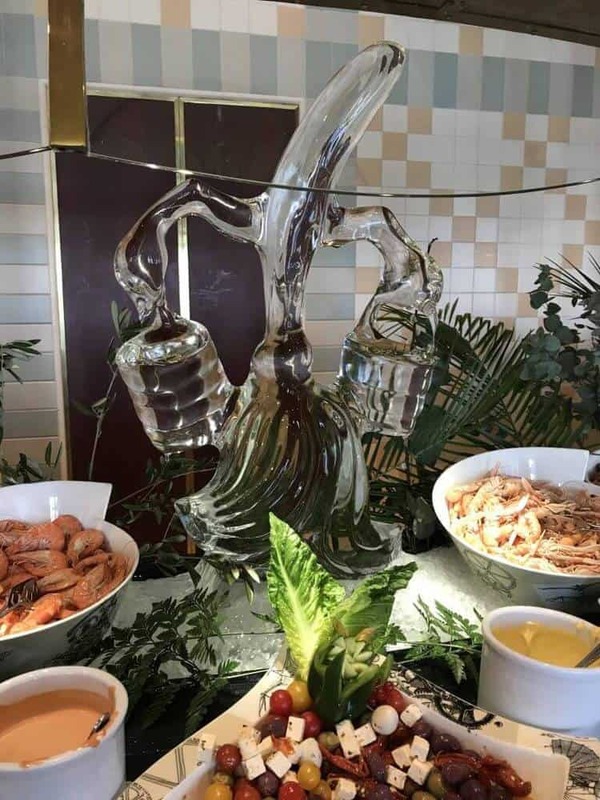 The cost does cover a full buffet and characters coming and going throughout your dining experience. The cost for dining at Inventions is €79 for Adults and €35 for Children (Aged 3-11 years). 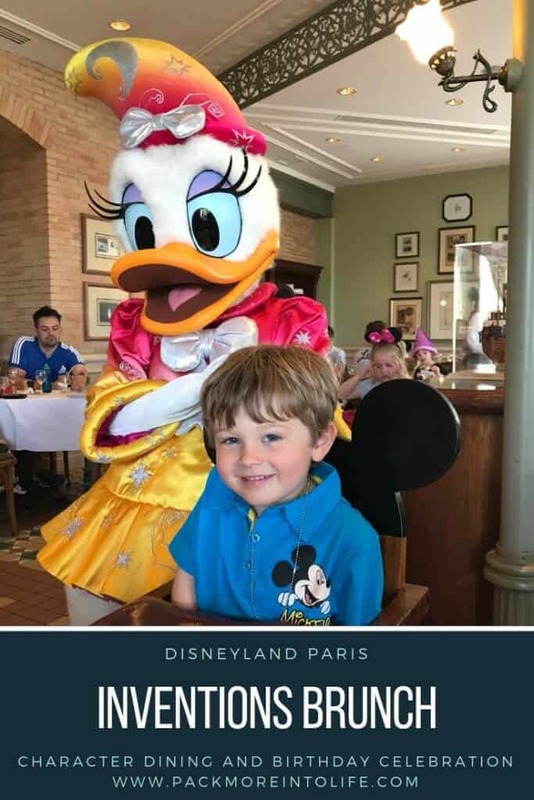 Head back to my “Disneyland Paris Tips” to read all about FastPasses, Illuminations show and our time at Walt Disney Studios. Or perhaps you’d like to see the other destinations that we’ve travel around the world? Interact with our destinations map.